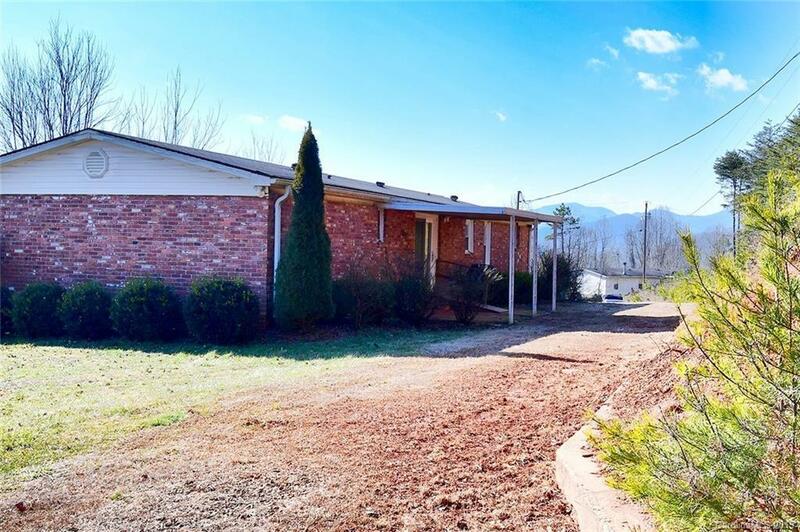 Views for DAYS from this cozy 3 bedroom, 2 bath home in Marshall on just over an acre! Plenty of space for crafts, canning, woodworking or anything at all in the full unfinished basement. Take in the lights of Downtown Asheville at night or watch the sun come up over the mountains on your front porch. Just a 20 minute drive from Asheville, this home is a great daily escape from the busy city. The data relating to real estate on this website derive in part from the Internet Data Exchange program. Brokers make an effort to deliver accurate information, but buyers should independently verify any information on which they will rely in a transaction. All properties are subject to prior sale, change or withdrawal. Neither Stacey Johnson nor any listing broker shall be responsible for any typographical errors, misinformation, or misprints, and they shall be held totally harmless from any damages arising from reliance upon this data. This data is provided exclusively for consumers’ personal, non-commercial use and may not be used for any purpose other than to identify prospective properties they may be interested in purchasing. © 2019 Carolina Multiple Listing Services, Inc. Last Updated 2018-06-04.